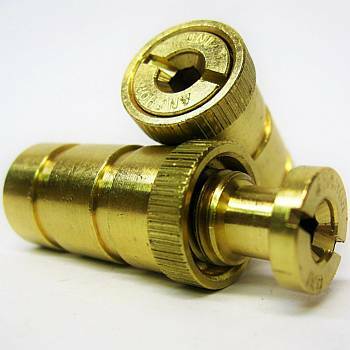 Brass Concrete Anchors for attaching a Safety Pool Cover to a concrete deck. Comes in a pack of 5 When installed and safety cover in not in use, they can be screwed flush with deck. 1" x 5/8" threaded bolt with 6 threads per 1/2"
1-1/8" x 9/16" threaded bolt with 8-9 threads per 3/4"
Once you have determined and marked the exact locations of anchor hole, you can drill holes.. Make sure to keep the drill perpendicular to the deck surface. Measure the drill bit beveled depth. Then add the height of the anchor shell. Mark this measurement onto your drill bit with electrical tape, pencil, or use drill guide. Drill the hole into the deck NO MORE THAN THE DEPTH of the Brass Anchor taking care not to widen the diameter of the hole. If this does happen, simply apply some adhesive to the sides of hole and anchor before inserting it into the hole. Drilling dust can be removed with a shop vac cleaner or carefully blown out. Due to the nature of poured concrete, some chipping is normal. This chipping can be reduced by using a sharp diamond tip drill bit and a high speed rotary hammer drill. When your anchor hole is properly prepared, remove the Brass Anchor insert and the Brass Anchor Shell can be lightly tamped into position by inserting the tamping tool and tamp it into the deck with a hammer or mallet until it is flush with the deck surface. 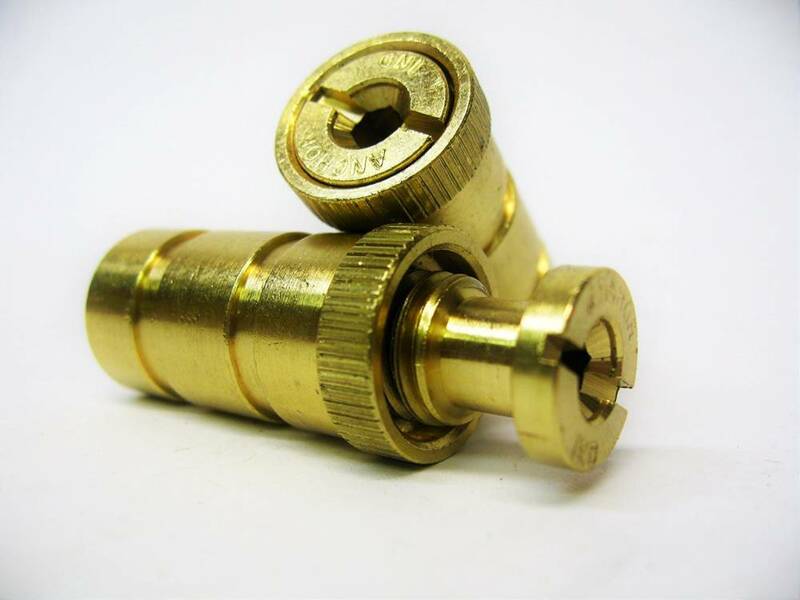 Coating the threads on the brass insert with silicone or teflon spray will make it easier to screw flush when safety cover is not in use, or unscrew when it is time to secure the safety cover. DO NOT USE OIL OR GREASE! Sold in sets of 5 only!